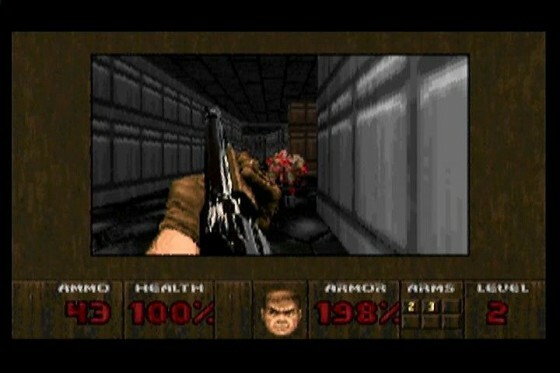 Releasing DOOM on the 3DO was something of a no-brainer. Even with Quake on its way, id’s original mega-hit was still generating a buzz in 1995 due to the then-upcoming SNES and PSone versions. 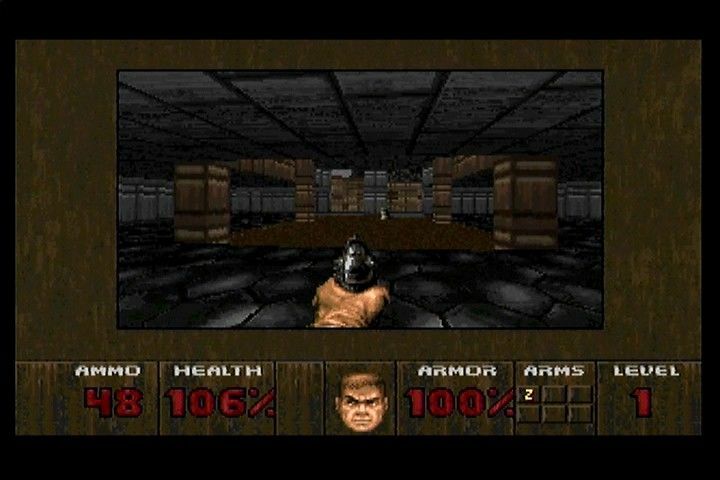 For one person, the decision to release DOOM on 3DO was seen as something more – a license to print money. That person was Randy Scott, head of Art Data Interactive. Firmly believing that the 3DO was going to be the next big thing, and understanding that DOOM had made mega bucks on other platforms, Randy Scott thought he had found a sure fire way to get rich quick. One thing Scott didn’t understand however was game development. Quite simply, he believed that the original’s source code – acquired from id at a cost of $250k – could be effortlessly converted from PC to 3DO, while new weapons, maps and monsters could be added simply by drawing images and placing them in the game. With a head full of nothing but pipe dreams, Scott then set about hyping up 3DO DOOM as being the best version of id’s seminal shooter, full of new features. Even FMV sequences were promised in order to woo investors, long-lost images of which circulated online a few years ago. Scott’s fabricated claims were enough for US retailers to start taking pre-sell orders, and as such Art Data were contractually obliged to deliver in time for Christmas 1995. The 3DO Company were understandably keen to have such a high-profile release as DOOM on their console too, hoping that it would help shift tens of thousands of consoles. In April 1995 Scott reached out to developers to take on the conversion and was left disgruntled after hearing that his vision would cost millions to make, as well as years to develop. Desperate to get work underway, Scott initially settled on a studio but, deviously, had no intention whatsoever to pay them for their efforts. The studio – which has never been named – quickly cottoned onto Art Data’s complete lack of competence, promptly ceasing development when their first milestone cheque failed to arrive. It was now July 1995; the proposed October 1995 release date was looking unlikelier by the day. It was at this point that The 3DO Company stepped in by approaching Logicware’s Rebecca Heineman. Heineman was well-known to The 3DO Company, having converted Another World and id’s own Wolfenstein 3D to the system. This also meant that she had contacts within id, making her the ideal person for the job. Presumably to get her on board, Art Data told Heinemann a whopping great lie while negotiating a contract. She was told by Randy that the game was 90% complete and just needed a few bug fixes. The reality, of course, was that development had barely started – Art Data had nothing but a long list of empty promises. Close to walking out on the project, Heineman was eventually persuaded to stay on as a favour to 3DO. She made the wise decision to put all of Scott’s wildly ambitious new ideas on the backburner while choosing to bring the Atari Jaguar version to 3DO due to the system’s similar architecture. By this point, Heineman only had barely two months to get the game ready. Development started mid-August, and the final version was sent to 3DO on 1st November. That ten-week turnaround left no time to optimise the engine, let alone add the new content Scott had promised. Amazingly though, Randy Scott did pull through on at least one front – the CEO was in a metal band, who had recorded covers of the original DOOM soundtrack. Being a CD-based format, the 3DO could play music straight off the disc. This was one small mercy Scott did give Heineman; converting the original music to 3DO would have taken an estimated 2 weeks as a specialised MIDI driver would have been required. Despite the 3DO being relatively powerful, a lack of time also meant that a full-screen mode was out of the question. The screen size had to be shrunk to just a small letterbox in order to keep the frame rate in double figures – allegedly the only request made by 3DO during the fast-tracked QA (quality assurance) process. Heineman believed that the M2 – the fabled successor to the 3DO – would offer backwards compatibility, and so snuck in a cheat code that unlocked full-screen mode, so that it could (potentially) be played as originally intended in the future. The M2, of course, was never released. Not to the public, at least – the technology reportedly made it into vending machines long after The 3DO Company closed their doors. With DOOM now in a “shippable” – but far from finished – state, Randy Scott went ahead and did something magnificently stupid. He requested 50,000 copies to be printed, notching up $150k in licensing and manufacturing fees from 3DO in the process. The 3DO’s user base was sitting at around 250k at the time, with the system’s big releases selling somewhere between 10k-20k. Presumably, the only way for Scott to make back investor’s money (he had reportedly borrowed money from a church, of all places) was to produce 50k copies and hope that every single one sold. Obviously, this didn’t happen. Just a few thousand copies were supposedly shifted at full-price before it swiftly hit the bargain bins. Reviews were far from favourable, with the biggest criticisms being the frame rate and reduced screen size. CVG’s Ed Lomas gave it 60%, saying that “Although it’s still Doom, it’s a real duffer of a conversion”. The music was praised, however, gaining a separate score of 90%. “The 3DO’s got its own little rock gig!” Lomas exclaimed. Somewhat predictably, Randy Scott tried to pin the blame on the game’s lacklustre reception on Heineman and her studio Logicware. She had a feeling this would happen, and so had wisely waited for Randy Scott’s final milestone cheque to clear prior to handing him the finished game. A shrewd move as Art Data went out of business soon after DOOM‘s release, due to racking up a huge debt. What happened to the unsold copies remains a mystery. Heineman once joked that they may have ended up buried in a landfill next to Atari’s ET: The Extra-Terrestrial. In many ways, DOOM was the 3DO’s equivalent of ET on Atari 2600 – a big name license bagged in hope of making a quick buck, turned around in the hastiest of fashions. Rebecca Heineman was presented with a sizeable challenge but managed to pull off the impossible and get a playable product out the door in time for Christmas. It’s a story near identical to Howard Scott Warshaw’s now infamous tale. Due to the way the project was handled, 3DO DOOM was never going to live up to the lofty expectations. Not with a ten-week turnaround, at least. Like DOOM’s battle-scarred protagonist, Heineman also emerged victorious from a hellish experience.